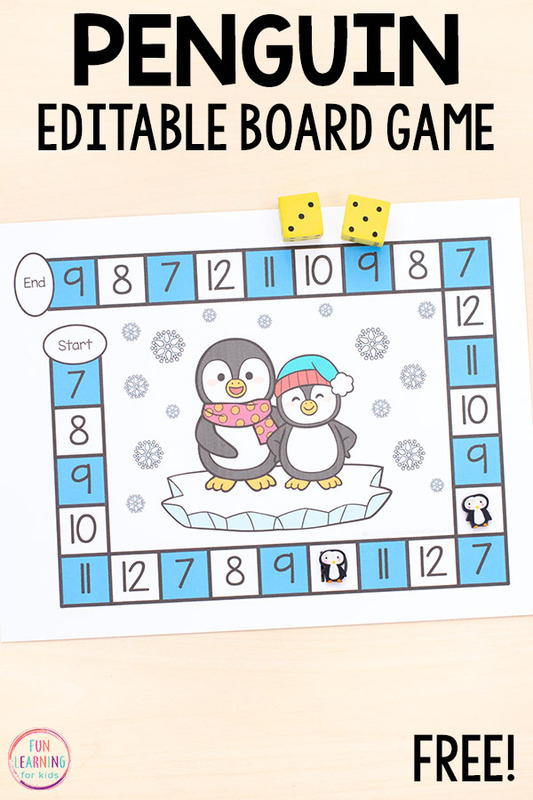 Your kids will love playing this editable penguin board game! 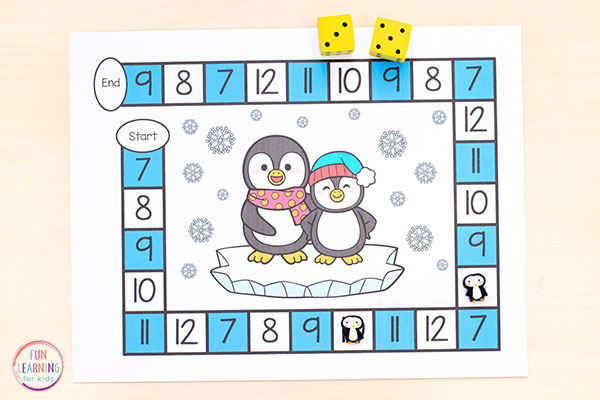 Add it to your winter math and literacy centers for lots of fun and learning this winter! 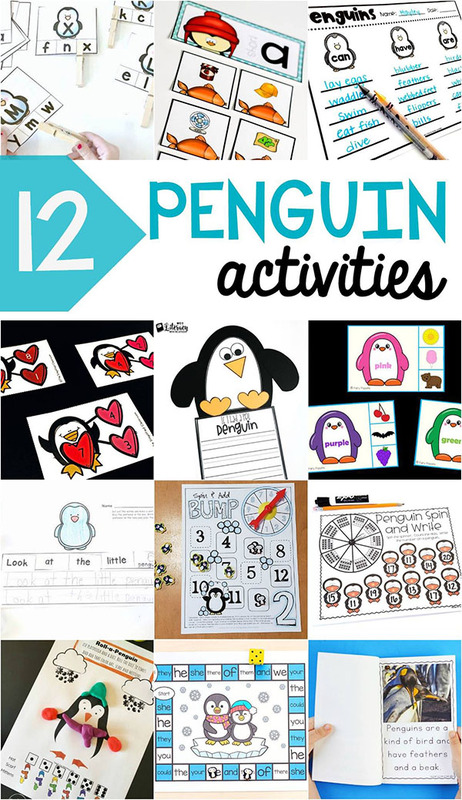 If you are looking for winter activities to use in your classroom, this will be perfect for you. And since it is editable, you can use it to reinforce LOTS of different skills. 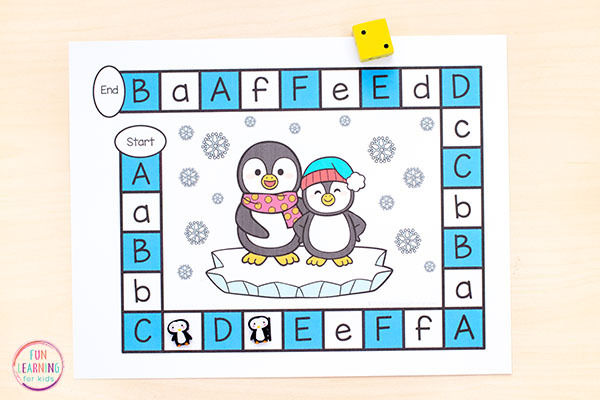 You can use it to teach sight words, letters and letter sounds, numbers, math facts, spelling words and more! This is really easy for you. Just type anything into the list on the first page and all of the spaces on the game board will auto-populate. Work on sight words, letters, numbers, math facts, spelling words and more! 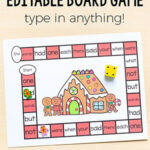 This requires no-prep from you beyond typing in the words, letters or numbers you would like to add to the board game. Just print and play! It will only take you a few minutes to create several different board games that can be used to meet all of the different needs of your students. It also comes in color AND black and white so you can use it even if you don’t have access to color printing. 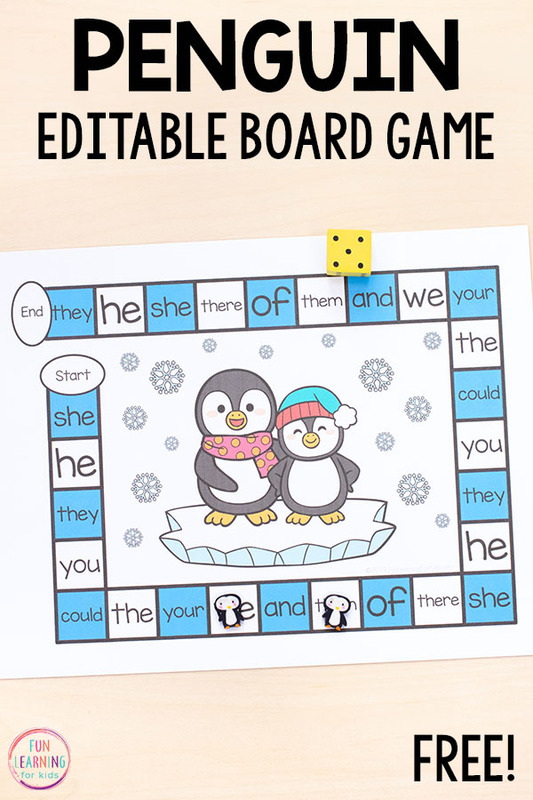 Because this board game is editable, it is super easy for you to differentiate it for all of the ability levels of your students. 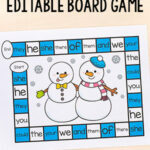 Use the exact same game board for all of your students while giving each one what they need. 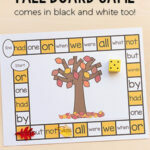 You’ll only need to teach them how to use the game board once and then they will know how to use them again and again in the future for different themes. Students roll a dice, move that many spaces, land on a letter and say its sound. Students roll two dice, add the numbers together and move to a space with that sum on it. Players will roll a cube with a letter written on each side and then move to space that matches the letter rolled. Students will roll a dice, move that many spaces, land on a word and read it out loud. 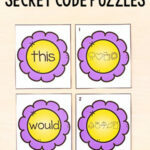 Players will roll a cube with blends or digraphs written on each side. Students roll the cube and move to a space with a word that includes that blend or digraph. On a cube, write 1 on two sides, 2 on two more sides and 3 on the remaining two sides. Students roll a 1, 2 or a 3 and move to a word with that many syllables. 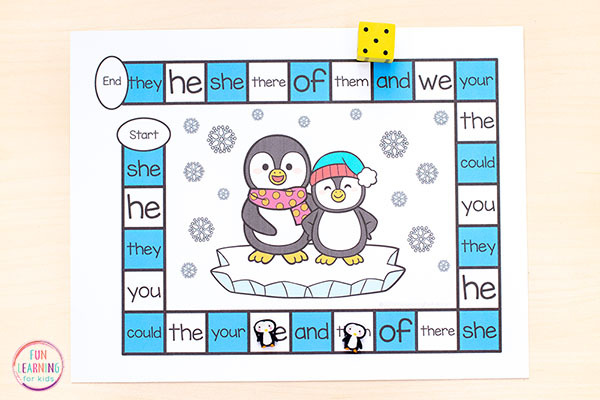 As you can see, there are so many ways to use this editable penguin board game. I am sure you can think of even more ways to use these with your students! Small manipulatives to use as game pieces. We used penguin mini erasers from the Target $1 Spot. 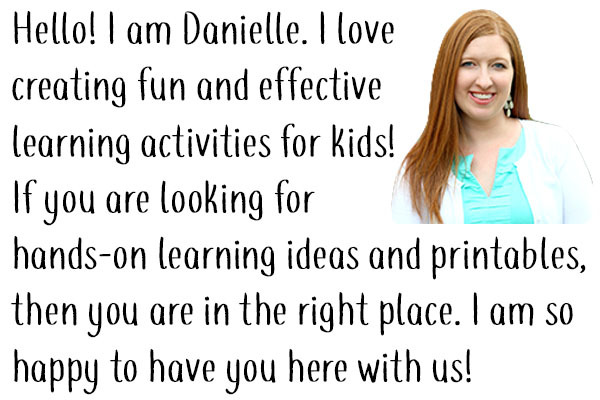 Type in letters, numbers, sight words, spelling words, math facts or anything else into the first page of the PDF file. 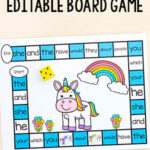 Print the game board and slide into write and wipe pockets for durability. You can also laminate it. Students will roll the dice or spin and a spinner and move that number of spaces on the game board. When they land on a space they will read the word, say the letter sound, solve the math problem, etc. The rules will depend on how you use the game. When I use the alphabet game board. My daughter rolls the dice and then moves to the space on the game board. When she lands on a letter she tells me the name of the letter and the sound it makes. My son has been using the game board to reinforce addition facts. He rolls the dice, lands on a math fact, solves it, and writes the addition sentence on a piece of paper. 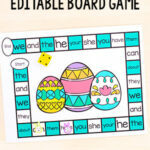 We are also using the game board for sight words. It makes learning them far more fun than using flash cards or something like that. 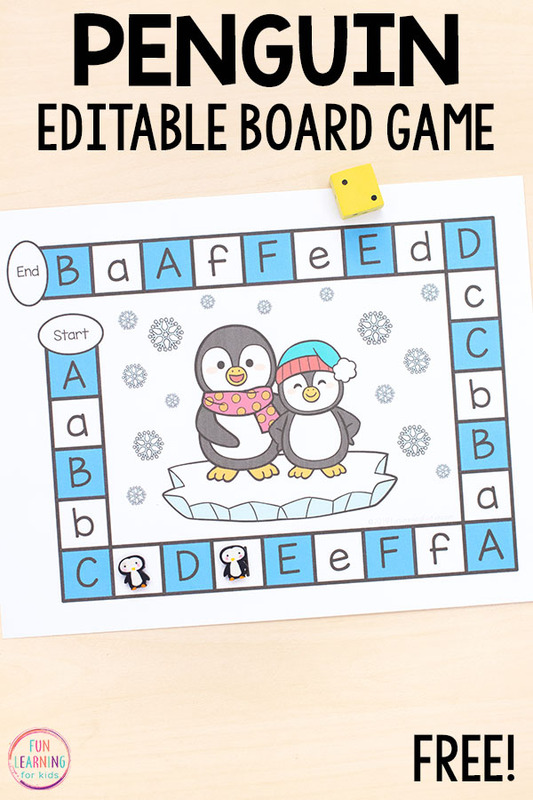 Keep scrolling to the bottom of the post to get the editable penguin board game. Looking for more snowman activities? Check these out!